Or, to express it in another way, our understanding of nature, and above all perhaps our own nature, is necessarily metaphorical. We can only understand the unknown through the known, through what is close at hand, our human habits and cultural practices, artifacts and inventions. So the invention of the pump preceded our understanding of the heart’s function and the emergence of the computer led in time, and not too much time, to the founding of a new discipline: cognitive science. It dawned on us that the mind is a computer. Nature imitates art. 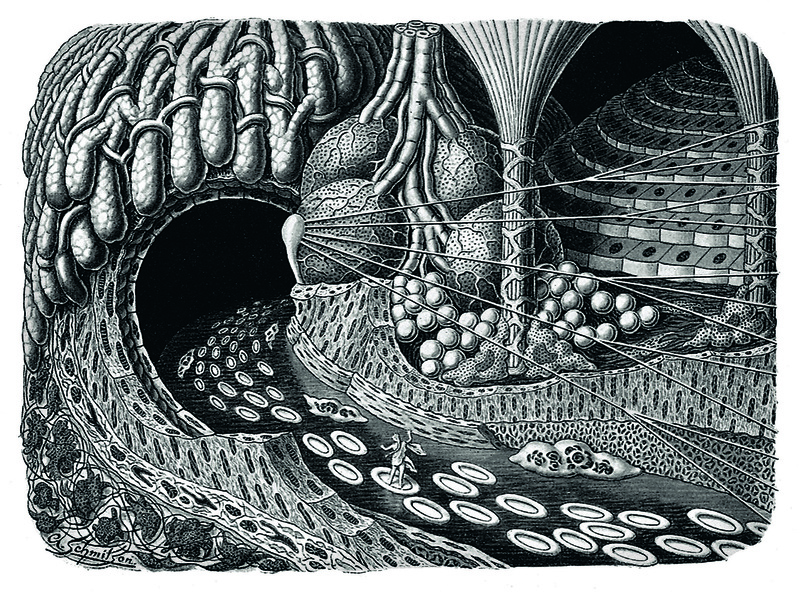 One might well ask: ‘Is this science, and does it matter?’ Of course, the images can be enjoyed for their own sake but it is a question that must be addressed. We should start by looking at where Kahn was coming from. He sought to popularize science, his goal was to communicate his passion to the reader, to fire their enthusiasm for the subject. And he found a unique way of doing so. 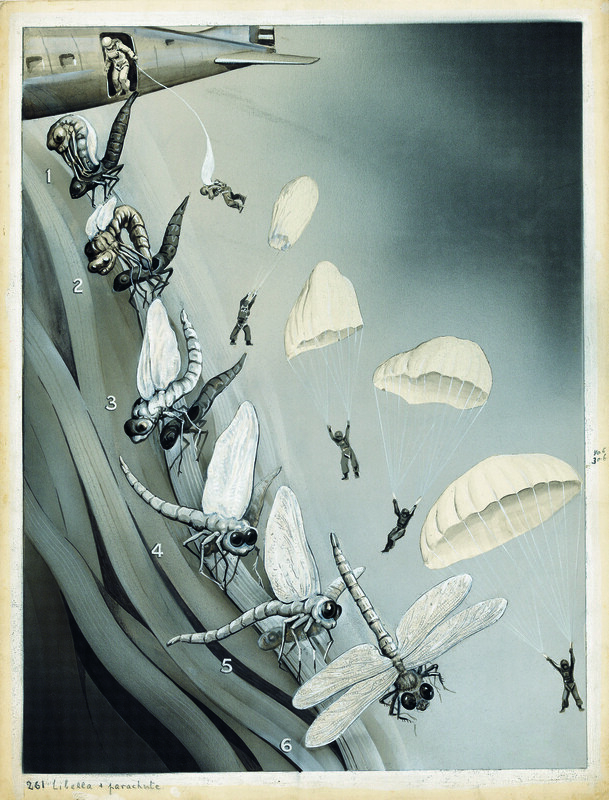 By contrast, a working scientist aims for objectivity and strict accuracy. And yet… and yet note that even scientists cannot do without images of some sort. As Peter Galison writes: ‘By mimicking nature, an image, even if not in every respect, captures a richness of relations in a way that a logical train of propositions never can.’ Or again, in a reflection on the scientific enterprise itself: ‘The richness of the image and the austerity of the numerical are always falling into each other.’ Incidentally, some of the science here seems dated and/or dodgy yet the images, by and large, continue to delight and astound. Art has a longer shelf-life. And a final thought to end: if you substitute the homunculi in the ‘Man as Industrial Palace’ poster above with a flow chart of some sort you would have what is virtually a cybernetic model of man. Since the poster dates from 1926 and cybernetics from 1948 or so, that would be a truly extraordinary case of nature imitating art. 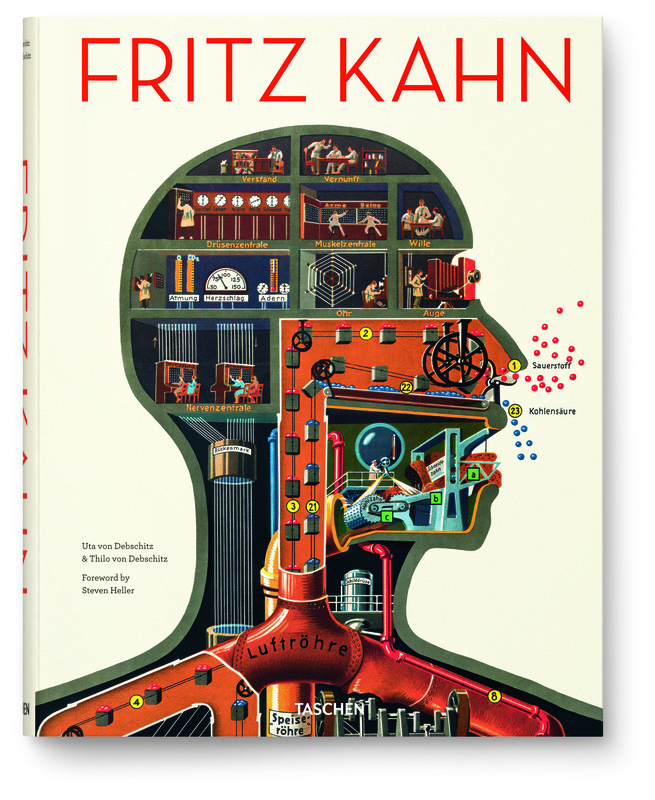 Fritz Kahn is a beautiful book, full of thought provoking, fascinating images and laden with not a little humour.